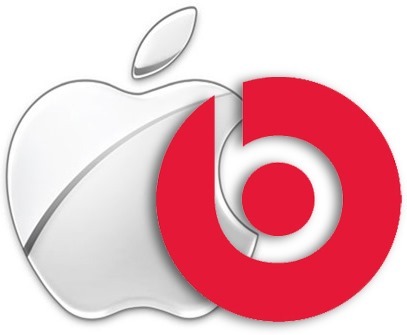 Apple is in talks to acquire Beats Electronics. Beats Electronics make the popular Beats headphones and in January 2014, they also started a music streaming service, Beats Music. If Apple acquires Beats then this would mark the largest takeover for Apple in its history. The two companies have yet to agree on some financial details. Apple has been shy in spending money when it comes to acquisitions. In the last 2 years, Apple has acquired 24 companies. The largest of which was PrimeSense acquisition which resulted in a takeover cost of $350 million. However, if Apple buys Beats Electronics then it would mark a shift in the acquisition strategy of Apple and we expect the company to make larger acquisitions in future. Also in the most recent earnings call, Apple CEO Tim Cook said that the company was ready to spend a large amount of money on an acquisition if it makes sense. Beats Electronics has its roots set into the music industry. Beats was created by rapper Dr. Dre and Jimmy Iovine, the chairman of Interscope Geffen A&M Records. In 2008, the first Beats headphones advertised as “Beats by Dr. Dre” were introduced. At the time, the company’s products were exclusively manufactured by Monster Cable. Howerver as of 2012 the company has self-manufactured its products. Beats headphones have strong sales and large market share in the premium headphones market. With high profit margins it is a lucrative market for Apple as well. So if Apple buys the company it will be making a wise decision. Beats Electronics also own Beats Music. It is a relatively new service and has very few users. The acquisition price is very high because of the headphones business, not the music service. However, consumers are shifting from radio-based streaming services to subscription based services. If Apple does not do something, Spotify and other services will take the lead. If Apple acquires Beats, then it will have a team that knows how to do a music streaming service. Seems like its a common strategy of Apple to acquisitions.Last time it was samsung I guess.